From Rich Media to native ads, the land of ad formats is a diverse one. Rich Media is high-impact and immerses the user. Native ads are on the end of the spectrum; this format is discreet, adapting to the environment in which it exists. Native ads take on the look and feel of a website, resulting in a naturally integrated in-feed advertisement. All formats can be efficient, especially if you find the right balance between them. Are you a rebel or more of a show-off? Are you all about Rich Media or more into Native ads? 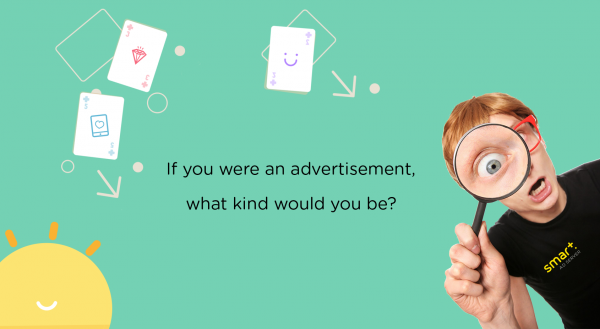 Take our quiz to find out what kind of ad you best suits your personality. At the end of the quiz, you’ll find some helpful tips to set you up for the future. Go ahead and take the quiz! You don’t want to miss out on the fun! And if you’re interested in learning more about native ads, check out our two latest two blog posts, Get Your Terms Straight: Defining Native Ads and Ad blocking and Native Ads. Keep an eye out for the third article in the series, which will cover some best practices for native advertising. Want more information about Smart AdServer’s solution? Visit this page to learn all about Smart AdServer Native Ads for Publishers. This quiz was first published on Adotas.com.